So beware of such calls on your vacation. You might also come across bloggers praising a destination. Who does not want to go on a vacation? It brings relief from the din and bustle of everyday life. It helps you de-stress and it is itself exciting to plan a vacation from a scratch and enjoy it with your friends and/or family members. However, amidst enjoyment, you often overlook certain things which the scam artists keep for you in order to steal your personal information and use them for their own financial gain. 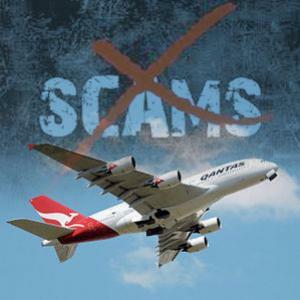 Therefore, next time, you go on a vacation, remember these following travel scams and get yourself shielded so that you can keep your financial information secured. The fake call at nighttime – On your stay in a hotel, you might get a call in the middle of the night asking you to verify your credit card information. The caller might pretend himself/herself as calling from the front desk. Since you wake up suddenly and receive the call, most likely, you won’t verify whether or not the call is really from the front desk. However, if you give out your credit card information, there’ll be a variety of charges in your credit card before you wake up. So beware of such calls on your vacation. Paying heed to brochures – Every one of you has experience of being welcomed by a hotel concierge with a rack of brochures about some famous sightseeing locations. You might also come across bloggers praising a destination. You never know whether or not they’re getting paid for writing those interesting stories. It is always better to trust your friends and family members regarding the travel related information, and always double check before you decide on a particular destination. The MoneyPak device – The BBB (better Business Bureau) has already issued a warning regarding MoneyPak device. This is an electronic device which is used to load funds into a prepaid debit card. Contrary to popular belief, MoneyPak doesn’t have protection like that of a credit card. Therefore, a scam artist might steal your important personal financial information and use them for their own profit. The ‘pineapple’ wi-fi device – The fraudsters may implant a device, which is known as ‘pineapple’, in the wi-fi hotspot near in the poolside. Such a device usually resembles like an identical one. Once you log in with it and check out your credit card balance or your bank account, you can be rest assured that all your information is being recorded. Therefore, next time, you feel like doing your work at the poolside, check out with the hotel reception from where you should login and the valid login password. Fake window tapping – if you plan to drive your car while you’re on a vacation, you might be asked to pull to a stop sign because of a flat tire. So, it is quite obvious that you would put the car in the parking lot and come out of the vehicle to inspect. Do not be astonished if you come out of the car and find that the tire is fine but your valuables are missing from the car. Therefore, be careful. If you think everything is fine in your car, do not pay heed and just drive ahead. Have you ever enjoyed a vacation so much that you wanted to visit that same place again and again? Next time, if you feel so, never make the mistake of buying another tour when you are on a vacation. This is because, more often than not, these are scams or close to it. It is always wiser to come back from your vacation, search your available options, shop around and buy a vacation that seems to be most suitable to you.